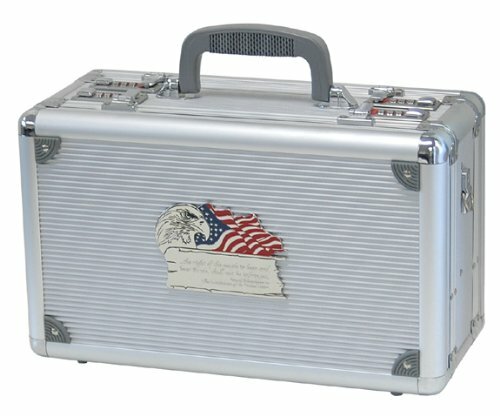 This duelly 15 pistol case features a handsome American flag and eagle plaque on our popular silver case finish. TZ Case gun cases are designed to keep dust and dirt away and have a weather resistant seal to keep moisture out. All cases from TZ Case meet airline requirements for firearm transport.